Sherri Shepherd is an American actress, comedian, author and television personality. She shot to fame after she played in the sitcoms Suddenly Susan, Everybody Loves Raymond and The Jamie Foxx Show. The mother of one has so far built an empire out of her career. Learn more about her below. Sherri Evonne Shepherd was born on April 22, 1967, in Chicago, Illinois. Her nationality is American. She is eldest of the three daughters of LaVerne and Lawrence A. Shepherd. Her mother died in 1991 and her father is a church deacon. Lawrence also worked as a food service manager at Sambos Resturant. Shepherd grew up in suburb Hoffman Estates, a village in Illinois after her family moved to the area. She schooled in Winston Churchill Elementary School. She furthered her education Eisenhower Junior High School of Community Consolidated School District 54 and Hoffman Estates High School of District. The actress started her TV career in 1995, then she worked as a legal secretary in Beverly Hills. She later quit her job and got a role on the short-lived WB’s sitcom Cleghorne. At the end of the season and with no other source of income in sight, Sherri went back to continue work at end of the first season. But lady luck smiled at Shepherd in the 2000s when she was considered to appear in Everybody Loves Raymond and The Jamie Foxx Show. She also starred in the ABC sitcom Less than Perfect which lasted for four years starting from 2002 to 2006. This became the beginning of her road to stardom and earned a nomination for the BET Award for Outstanding Supporting Actress in a Comedy Series in 2005. In 2006, she appeared on several TV shows including The Megan Mullally show, The Ellen DeGeneres Show and more. The star, famous for her warm personality, joined The View from 2007 to 2014 as a co-host. Not only was Shepherd’s career witnessed new level due to the role, she also earned her different Daytime Emmy Award nominations for which she won one in 2009. She has also anchored Nickelodeon’s Nickmom Night Out special. In 2009, the talented star featured in her own sitcom Sherri on Lifetime which chronicled her life but the show was removed after one season. The ambitious star also appeared on Broadway in Rodgers and Hammerstein’s musical production of Cinderella. Shepherd contested in the Dancing with the Stars show in the fourteenth season (2012) and played Daphne in different episodes of How I Met Your Mother. Other films to her credit include; Big Mommas: Like Father, Like Son, One for the Money, Abducted: The Carlina White Story, Precious, Medea Goes To jail, Transformers, Who’s Your Caddy, Think Like a Man, Top Five, Woodlawn, Ride Along 2, and Jean of the Joneses. Sherri also lent her voice to Florrie, a character in animated series Madagascar: Escape 2 Africa. Among the many shows, she hosted are 35th Daytime Emmy Awards, The Tonight Show with Jay Leno, Entertainment Tonight, Who Wants To Be a Millionnaire, Entourage, The Late Late Show with Craig Ferguson, Rachael Ray, Larry King Live and a couple of others. Some of Shepherd’s recent works on TV include Match Made in Heaven, The $100,000 Pyramid, Trial & Error, To Tell the Truth, and Man with a Plan. Besides being an actress and show host, Shepherd has written some books. She authored the book Permission Slips: Every Woman’s Guide to Giving Herself a Break in 2009. She has a co-author credit on Plan D: How to Lose Weight and Beat Diabetes, published in 2013. She also has a line which deals with wigs and hair add-ins. Sherri Shepherd is a big name in the entertainment industry and as you can imagine, her net worth proves how much she has climbed the ladder of fame in Hollywood. The stunning actress ‘ net worth is estimated at $10 million. Despite her successful career, Shepherd has not had a stable love life. She has been married to Jeff Tarpley in 2001. But their marriage crashed in 2010. The marriage produced one son named Jeffrey. 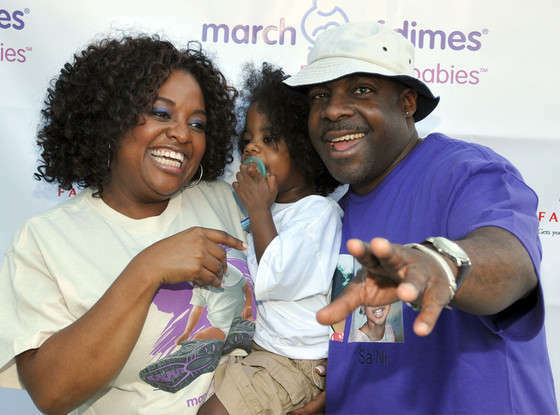 The same year her first marriage failed, Sherri Shepherd got proposed to by TV writer, Lamar Sally. They held their wedding the following year in Chicago. But both stars filed for separation and divorce in 2014. They share one child, Lamar Sally, Jr who they had through surrogacy in 2014. The newborn has no DNA link to the Shepherd as he was conceived using a donor egg. Sally wanted full custody of the child and he won it. The star who was ruled as a legal parent of the child by the court promised to support the child financially but wishes not to be involved in his life. In 2014, her first husband tried to rip off Jeffery’s custody from the TV show host. He described her as a terrible mother who neglects her son’s special needs. According to him, the 9-year-old child then could hardly write, tie his shoes or even read despite being at a 2nd-grade level. Sherri Shepherd came out strong after all the accusations. Currently, Shepherd is happily single and is in custody of his son Jeffery who is all grown now.